By teasing out the thatch and moss from your lawn with the SCH RR3 Rotary Raker you will make it more resistant to drought, insect and disease problems. By removing the layer of thatch the grassed area will regenerate naturally and will become more receptive to fertilisers and pest and disease control products. The SCH RR3 rotary raker with its powerful 6hp Honda petrol engine and twin 'V' belt drive rotates four rows of free floating scarifying blades which carry out the vital dethatching process. 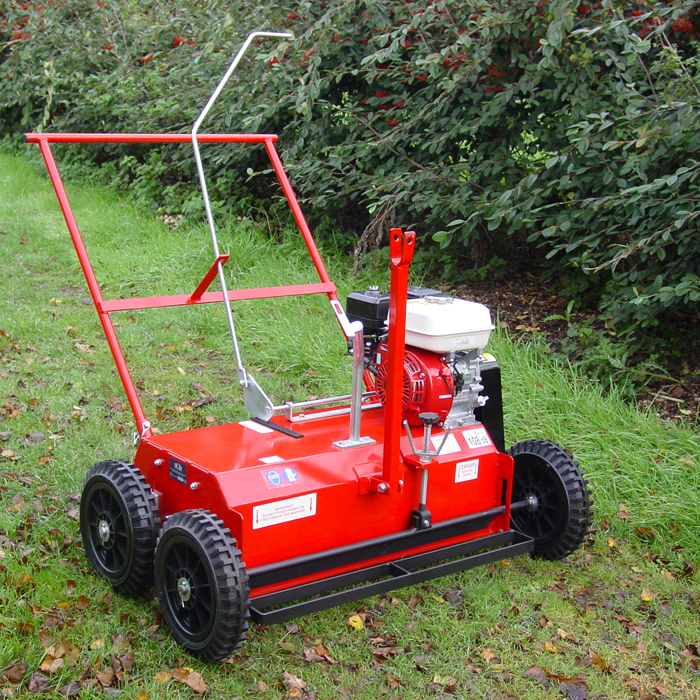 For areas that are inaccessible to the garden tractor the unit can be manually operated with the easy attachable handle which is provided with the machine.